LG Optimus Pro is an Android OS smartphone with QWERTY keyboard and form factor quite similar with Blackberry. It is not common for Android phone to have Qwerty keyboard, but it seems LG was targeting this phone for executive segment that is often struggling with email. 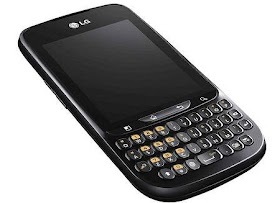 Optimus Pro is arguably the answer for the presence of LG Motorola XPRT not long ago who had the same QWERTY keypad. Optimus Pro specifications comes with a more powerful processor than Optimus One (from 600 Mhz to 800 Mhz), Android 2.3 Gingerbread and 1500 mAh battery. Optimus Pro will be sold for about 169 Euros.